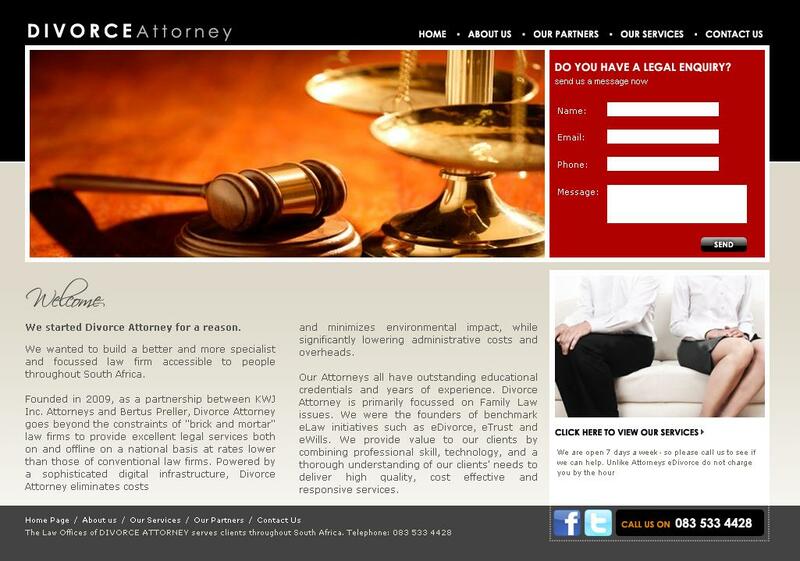 eDivorce is the most popular internet divorce service in South Africa. The only divorce service where your divorce forms are checked by divorce attorneys. No one would deny that the world has changed immensely in the past ten years. Today we are doing almost everything online. We shop online, listen to music online, research online, book flights and accommodation online. The internet is growing at a phenomenal rate, especially the sector of online e-commerce. New generations are considering it as the conventional method of purchasing goods and services. Businesses which fail to embrace this large catchment of clients and customers will perish. The legal services profession is one that has already fallen way behind the rest of the business fraternity. It is a fact that clients and customers can purchase legal document services and templates at certain stationary shops. Contemporary legal customers have an expectation of wanting everything for the cheapest possible price and in the quickest possible time. Online legal services provide instant virtual access to legal support services. That is exactly what more and more South Africans have been doing since the first online DIY Divorce website eDivorce launched. And it costs only about R950, a fraction of what one usually pays for an uncontested divorce. The service makes South Africa’s divorce system more accessible and affordable to the general public. With people struggling to make ends meet in a volatile economic climate an online Divorce website is a definite alternative for spouses seeking an uncontested divorce. There is a clearly an increase in Europe and the US in the number of online legal services and in the UK alone online Divorces have increased by over 50% over the past few year. Online divorce has been available in the UK since the late ’90s and it’s a growing trend in South Africa too. But this doesn’t mean you can get divorced with just a click of the mouse. Websites for online divorces handle uncontested cases only and generate the forms needed to conclude the divorce. It is therefore up to the spouses to conclude their own divorce. Where a divorce is contested, for example where the spouses are not able to agree on how to divide their assets, it will be in their interest to rather consult an attorney who specialises in Family Law and Divorce Law. Where the divorce is less complicated and the spouses agree on the division of their assets then using an online divorce website makes more sense. Social networks have made it easier for the infidelity that has grown exponentially with the advent of the internet, and whilst many would argue that virtual adultery can never be as bad as the real thing, even an online affair can be of great distress to the “victim.” The recent popularity of social networking websites like Facebook and Mxit have brought with them the possibility to make complete new friends with common interests, as well as to reconnect with those lost friends from school or your more recent past. Matrimonial investigations where once confined to the real world and the surveillance of partners were often a case of physical tracking of vehicles etc. However, with the advent of modern technology an effective matrimonial investigation needs to be able to work on a virtual as well as a physical level. More and more frequently, otherwise sound marriages, are suffering from the use of online social networking sites like Facebook and Mxit. There are no figures or percentages yet to suggest that the rate of infidelity has risen with the growth of social networking sites. 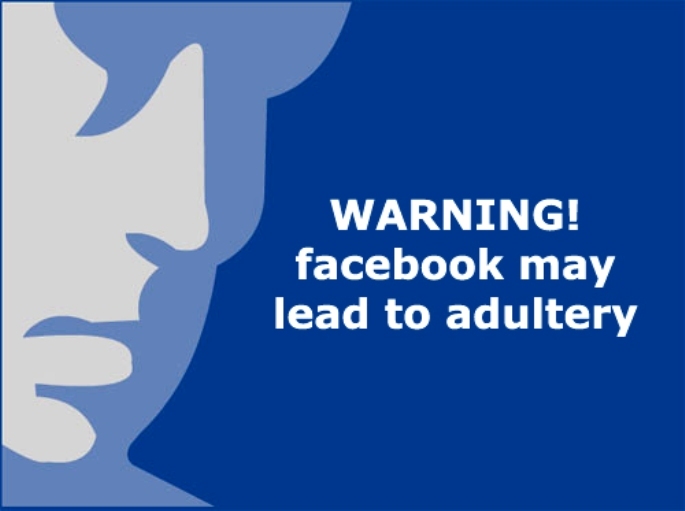 But do social networking sites encourage flirtatious behaviour, and are they really to blame for a rise in adultery? As anyone who has joined Facebook, will know that the first couple of weeks is often a race to add as many ‘friends’ as possible. It is also all too easy, and often irresistibly tempting, to look up old boyfriends or girlfriends or maybe just that guy from university or college you had that crush on, but never did anything about at the time, almost reliving that lost moment in time. Of course, it is only human to wonder what happened to people you were close to in the past. The danger starts when that late night uninhibited surfing session, fuelled by that second glass of sauvignon blanc or cabernet, begets a ‘poke’ or a flirtatious message sent to an ex-lover or missed opportunity. One thing leads to another and you are soon exchanging emails reminiscing about the past; and the next thing you know you’re arranging to meet to catch up on old times and that is when the trouble starts. It really doesn’t only apply to people known to you. The remote nature of the internet provides some people with a veil of anonymity which can lead them to act in a complete different way that they wouldn’t in a real life situation. People who are generally shy can often act much more confidently in a virtual situation, leading them to be much more flirtatious and socially assertive than they otherwise would. Asking someone out over the internet feels less risky than it does face to face, as it is only your avatar that is facing possible rejection. Of course, social networking sites don’t make anyone cheat on their partner. They do make it easy to get in contact with people, and therefore provide the opportunity to cheat to someone who is that way inclined. They also provide a much greater chance of getting caught, as they provide an electronic trail of evidence to a suspicious partner who knows where to look. So, the problem is not so much the social networks, but human nature. As a divorce attorney I have seen a huge increase in the recent years in people producing print outs of emails, instant messages, Facebook wall screenshots and sms messages to back up claims of their partner’s infidelity. So how many exes does your current partner have on their list of Facebook friends? And for that matter how many do you have on yours? It is worth bearing in mind next time you receive a friend request and the option to ‘Confirm or Ignore?’ Is it someone you would be happy for your partner to know about? That is the question. Finally, spare a thought for famous Emma Brady, reportedly the world’s first Facebook divorcee. She only found out that her husband wanted a divorce when friends started phoning her to console her on being dumped. If you intend to get divorced in South Africa, the best way would be to use an online Divorce Service like eDivorce. The process is easy and without hassle, simply fill in the online divorce application form and your papers will be ready in less than 24 hours. We will not charge you by the hour or minute to deal with your divorce. The price you pay is fixed from the start of your case and includes everything you will need. A life ruined by a poor choice of a divorce attorney is a real possibility. Divorce in South Africa can be a very complex matter which requires a considerable degree of expertise on the part of an attorney. Divorces are tricky situations and should be handled with care. Your divorce attorney must understand the sensitivity of the issue. He should be compassionate and aim at resolving the case peacefully. People read in the newspapers about large divorce settlements and people will say the person must have had a good divorce attorney. It’s probably true, in all likelihood they’ve employed a high-powered, and very expensive, attorney who specialises in divorce work and know how to make the best of all the facts available. Most of people, however, don’t have the deep pockets to afford that kind of legal representation in divorce or Family Court proceedings. But even for ordinary mortals, can a good attorney make a real difference? The emotional context of a divorce is often built on feelings of loss, betrayal, humiliation, financial uncertainty, guilt, anxiety, the fear of losing one’s access to one’s children and loss of custody of such children. Too often, the process of bringing a divorce to a sensible resolution is bedeviled by emotional factors, which, if not properly managed, can then be acted out in costly divorce wars. An attorney who has the necessary experience and insight into the psychological circumstances of the divorce in question, will be far more capable in assisting the client to “see the road ahead”. The attorney must structure an appropriate and affordable service within the reach of the client. It is part of the job of an experienced divorce attorney to help the client properly access the financial resources. Look for a divorce attorney with extensive experience. Find a divorce attorney who has been practicing for some years and has practiced for many or most of these as a family law and divorce specialist. DivorceAttorney is one of the specialist Divorce Law Firms in South Africa and also the first Virtual Law firm in South Africa who specialises in divorce and family law matters. Divorce Attorney goes beyond the constraints of “brick and mortar” law firms to provide excellent legal services both on and offline on a national basis at rates lower than those of conventional law firms. Powered by a sophisticated digital infrastructure, Divorce Attorney eliminates costs and minimizes environmental impact, while significantly lowering administrative costs and overheads. Divorce Attorney was designed to be better for clients. Better Progress Information: Clients have the ability to monitor the progress much more closely than conventional law firms. The attorneys enter their progress reports and drafted documentation weekly, and the information is immediately posted to a password-protected MyDA homepage. Where clients can view the running progress on a case. Better Legal Cost Control: Where there were no agreement on a flat rate clients are given the ability to monitor their legal costs much more closely than conventional law firms. The attorneys enter their time at least weekly, and their time is immediately posted to your password-protected MyDA homepage. Clients can also communicate with us through the MyDA homepage. Lower Billing Rates: Rates are less than the rates of attorneys with comparable experience at large law firms, due to our lower overheads. They do projects on a “flat fee” basis if clients prefer. Better Technology: Divorce Attorney have developed tools unique to the legal industry to connect with their clients. Better Investigation Teams: Divorce Attorney have teamed up with formidable investigation agencies to obtain all the information you need for purposes of contested divorce cases. For more information visit Divorce Attorney South Africa at http://www.divorceattorney.co.za for contested divorces or visit eDivorce at http://www.edivorce.co.za for uncontested divorces.